The City of Columbus issued an emergency order on Tuesday banning people from riding electric scooters on sidewalks. Electric scooter riders are also limited in where they may operate electric scooters to streets with a speedy limit up to 35 mph, unless they are on a bike lane or shared-use path. The sudden surge of electric scooters in Columbus raised numerous legal questions about how they should be operated by their users. This order was issued by Columbus Department of Public Service Director Jennifer Gallager as a temporary resolution to the legal questions posed by the growing presence of electric scooters in Columbus. Once City Council returns from its summer recess, city administrators anticipate that its members will consider permanent changes to Columbus City Code. The emergency order comes at the behest of Mayor Andrew J. Ginther, who announced last week that city administrators would issue emergency electric scooter guidelines and propose legislative changes to the City Council. 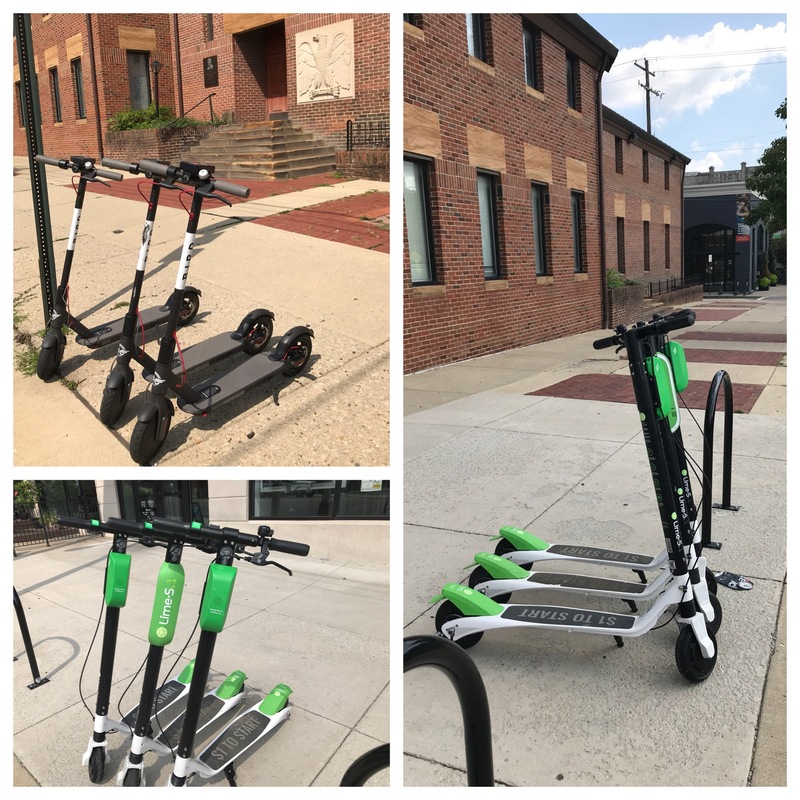 The proposed code changes would add electric scooters like the Lime and Bird scooters seen throughout Columbus to the city’s law banning adults from riding bicycles on sidewalks, which is a minor misdemeanor offense. Notably, however, “[t]here can’t be any enforcement from a ticketing standpoint until that legislation is enacted and effective,” said Jeff Ortega, assistant director in the Department of Public Service. In addition to prohibiting electric scooters from being operated on a sidewalk, the emergency rules also prohibit an operator from parking a scooter on a sidewalk in a way that interferes with pedestrians or on streets in a way that inhibits traffic. Electric scooter operator Lime requires its users to park their scooter by the road’s curbside, and already requests that its users do not block pedestrian walkways. The proposed legislation text can be viewed online here. The temporary regulations issued under the emergency order are in effect until October 11, 2018. Code changes for electric scooters are anticipated to appear on City Council’s agenda as soon as members return from their summer recess on September 17, 2018. A public hearing on this issue is scheduled for September 18, 2018 in council chambers at City Hall from 4:00 PM to 5:30 PM.